Here is another meal with guest chef Lori my sister. We made falafel sandwiches with hummus. It was my second attempt at making hummus for the first attempt was a complete failure. Now knowing how my sister makes it, I am a bit embarrassed at how I could mess up such a simple dish. Note, be generous with the olive oil, lemon and tahini when making hummus but not too generous when it comes to the garlic! We’re going to start with the falafel mix. You can find this, as well as the tahini sauce, which we will need for hummus, in the international aisle at your grocery store. The box has two packages. Use both, because one package makes about five inch-and-half falafels. The box says to add 1 tblspn of water per package, but that is not enough water. For both packages you will need a total of 3/4ths cup of water. 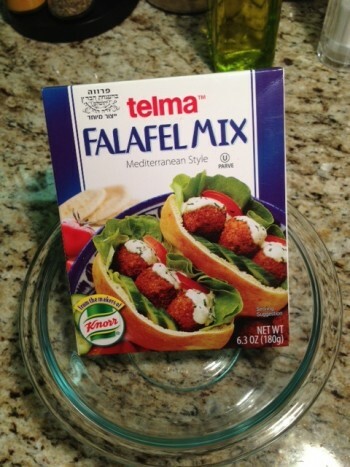 Pour both packages of the falafel mix into a medium-sized bowl. Add your water and mix well. Place Saran Wrap or foil over the bowl, and let it sit for ten minutes. During this waiting period, we’ll work on the hummus. This is a recipe that’s really taste and then add ingredients as you go, but I will give you a base of measurements, and you can add more of any ingredient that you think the hummus needs. 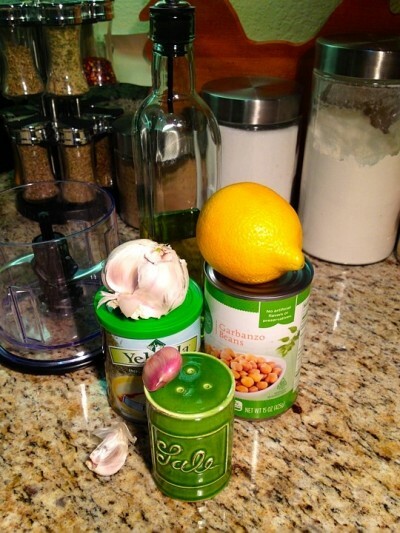 In the food processor add the rinsed garbanzo beans, 3 tblspns of tahini, juice from one lemon, salt to taste, two garlic cloves, half a cup of olive oil, then blend the ingredients, add more olive oil until hummus has a smooth consistency. 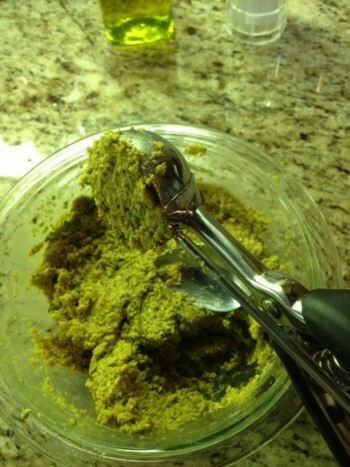 Now, once the hummus is done, cover and set it in the fridge. Since I had co-chef Lori helping me out, she cut up the veggies – tomatoes and lettuce – while I got started on the falafels. In a medium sauce pan, heat the vegetable oil for 5 minutes on a high setting. If you have a cookie scooper, this works great for making perfect little rounds. If not, a spoon works just fine. 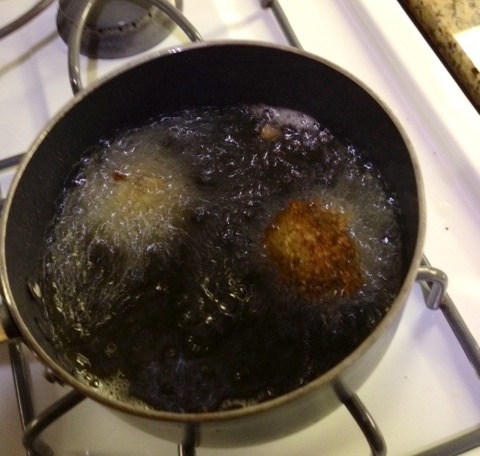 Once the oil is ready, make one-and-a-half-inch falafel rounds, and drop them in to the hot oil as you make them. I would suggest frying three at a time just so you can keep an eye on them and avoid burning, because they cook pretty quickly. Fry each side for a minute and a half to two minutes. Place a paper towel on a plate to absorb the excess oil. A nice golden brown color. 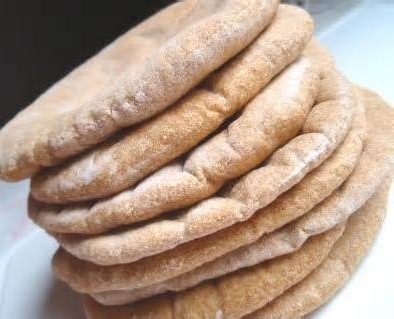 Warm some pita bread in the microwave. After doing so, cut the bread in half so you have a nice little pocket, or you can just use the whole pita bread and fold it like a taco, smear some hummus in the pita bread, add tomatoes and lettuce and whatever else you’d like. 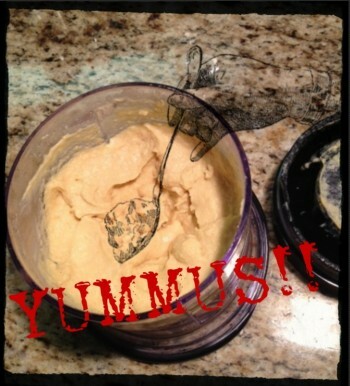 Thanks to my sister for hanging out in my kitchen and sharing with me her hummus recipe! See you all next time for some more PeopleTreats! 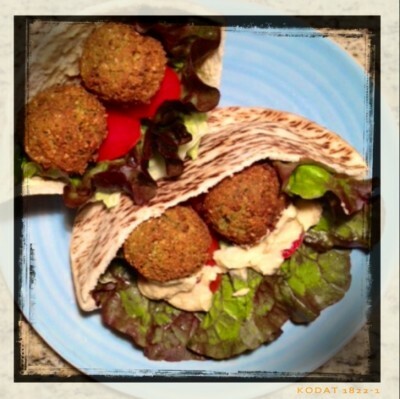 This entry was posted in Falafels with Hummus, Recipes by mrewilson. Bookmark the permalink. Yum! It all looks good! Oh, it is, and so easy to make! It is so “Hummy”! Need to make this for dinner soon! Is half a lemon enough to make it taste right? Our hummus always takes quite a lot more than any recipe to taste like anything but fancy nut butter. 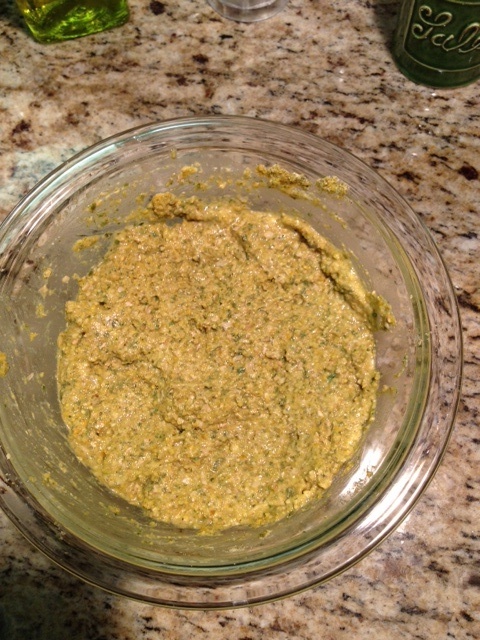 The tahini sauce I used, which was Yehuda Tehina made in Israel, was pretty tangy on its own. But you’re right, if it lacks lemon juice, it does have a nutty flavor. I will amend my post, because I did use the juice of one whole lemon. Thanks for catching that! : )! 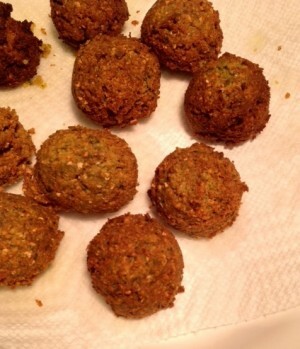 Once again I had fun making falafels with my sister! I was impressed on how easy it was to make falafels. Happy national falafel day!